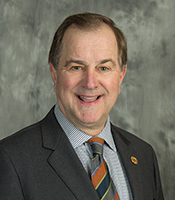 Duane Noland is the President/CEO for the AIEC. Duane’s family has been a member of Shelby Electric Cooperative since 1938, and he is the fourth President of the association since its inception in 1942. He previously represented the citizens of central Illinois, serving four terms in the Illinois House of Representatives and two terms in the Illinois Senate, retiring as Assistant Majority Leader. An active civic and agricultural leader, Duane served on the board of directors for Millikin University and Decatur Memorial Hospital, and is past Chairman of the Rural Electric Statewide Managers Association. Living on a centennial family farm, Duane and his wife Tina are the parents of two sons and a daughter, and are blessed with four grandchildren. Rapidly falling costs of distributed electricity generation and storage technologies coupled with recent advances in power electronics, computation, and communication technologies have been motivating the investigation of alternative architectures for planning and operating electric power systems. These advances could offer significant efficiency, cost, reliability, and emissions benefits to cooperative utilities and their members. In this presentation we will argue that fully realizing the benefits offered by emerging technologies will require the development of “agile” and “fractal” power system design and operation methodologies. We will discuss the challenges associated with this transition. We will also describe the critical importance of new strategies for managing and analyzing data will be critically important to achieve this vision. Tim Heidel is Deputy Chief Scientist at NRECA. 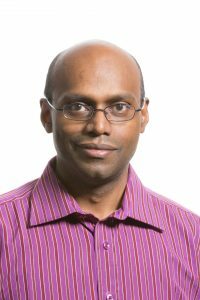 In this role he helps lead data analytics and cybersecurity research. Dr. Heidel previously served as a Program Director at the U.S. DOE’s ARPA-E, where he managed research projects in power system optimization and power electronics. Heidel holds S.B., M.Eng., and Ph.D. degrees in Electrical Engineering and an M.S. in Technology and Policy from MIT. While the cyber threat often uses the direct approach of attack, there are increased threats using simple social engineering methods. This session will be to educate individuals on the six social engineering attacks and methods used to detect and defeat them. Michael Gene Baker is a Managing Principal with Dell SecureWorks with 30+-year’s information security experience that has successfully designed and implemented security programs for fortune 500 companies throughout the world. His leadership experience has included CISO for Convergys, the GISO for Visteon, VP/BISO for Citicorp, security executive at GM and a retired U.S. Army Reserve military intelligence officer. Michael has a Master’s Degree in Cybersecurity Policy from University of Maryland University College and a Bachelor’s Degree from Regents College, University of New York. He holds Certified Information Systems Security Professional (CISSP) since 2000 and Certified Business Manager (CBM) certifications. The Cybersecurity Program at NRECA conducts basic research developing new cybersecurity tools, and develops resources for cooperatives to use to improve their cybersecurity programs. Cynthia will present an overview of current research efforts and ways for cooperatives to be involved in NRECA’s Cybersecurity Program. Dr. Cynthia Hsu is the Cybersecurity Program Manager at NRECA in the Business and Technology Strategies group. She is responsible for developing and implementing cybersecurity research programs that address issues relevant to NRECA’s members. She currently manages an $18 million cybersecurity research budget that includes competitive federal grants and contracts, and member-funded research. Prior to her position at NRECA, Cynthia worked for the U.S. House of Representatives where she staffed Congressional hearings and drafted legislation for industrial control systems cybersecurity research. Before her position on the House of Representatives, she was a Science and Technology Policy Fellow for the U.S. Department of Energy’s Office of Electricity Delivery and Energy Reliability. This workshop introduces customers to Microsoft OneNote 2016, a digital notebook for capturing, storing, and sharing all kinds of information—notes, photos, audio, videos, web links and more. Use OneNote to keep the information you need at your fingertips. With OneNote’s powerful search capabilities, you can easily find exactly what you are looking for. Full integration with the cloud means your notes and information are saved and searchable wherever you go — on nearly any mobile device, tablet, or browser. Matt Ohmes is in his sixth year as IT Manager at SouthEastern Illinois Electric Coop. He previously spent a majority of his career in the public health sector, after beginning in the banking industry. 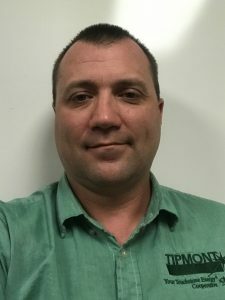 Allen Jones, the Information Technology Manager at Tipmont REMC, specializes in leveraging existing and new technologies in a manner that maximizes value and develops the technology portfolio in a productive manner. During his fifteen plus years in the utility industry he has specialized specifically in modernizing operations technologies such as GIS, SCADA, AMI, OMS while focusing on quality implementation, system integration and data distribution. Allen received his B.S. from Purdue University and recently completed his Masters in Geospatial Information Science Technology from NC State University. His focus in systems integration and data distribution systems drove his interest in GIS Infrastructure, web services, and web analytics using GIS tools. What a SIEM can do for you? Which SIEM is right for your environment? What it takes to run a SIEM? Craig has worked in Information Technology within small and medium sized businesses for 25 years with a focus in networking and security for the last 15 years. The presentation will cover NineStar Connect and our challenges and successes deploying fiber. Partnerships, joint ventures and ways to squeeze the most out of every dollar spent. An honest look at what NineStar did and what you can do better starting from scratch. 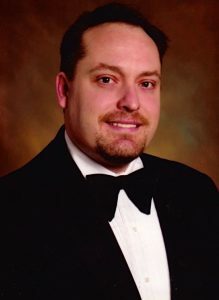 Ross Ferson is the Chief Technology Officer of NineStar Connect, a hybrid electric and telecom cooperative in Indiana. 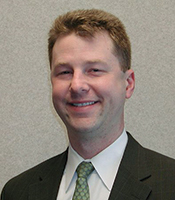 Prior to being CTO, Ross served as the Director of Network Operations for the hybrid cooperative and served as the Manager of Network Operations for Hancock Telecom prior to its merger with Central Indiana Power. 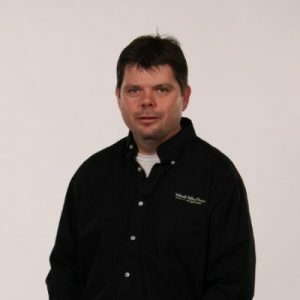 Ross is responsible for the company’s technology direction for both the electric and telecom divisions and has over 20 years of experience in the IT field and holds several industry certifications. Scott will share the latest information on fiber easements, and how they impact Indiana co-ops. Scott Bowers is the vice president of government relations for Indiana Electric Cooperatives (IEC). In his role at IEC Scott directs and manages the association’s lobbying efforts at the federal and state levels on behalf of the organization’s members. A veteran of numerous political campaigns in Indiana, Scott has managed congressional, state legislative and other statewide campaigns. Scott earned his degree in public policy from the Indiana University School of Public and Environmental Affairs. Nick will share the latest information about state and federal politics, and how they impact Illinois co-ops. Mr. Rightnowar will be discussing easements in Illinois and Illinois easement law. He will also be discussing several recent high profile judgments concerning cooperative easements in the United States. 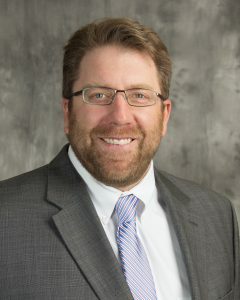 Nick Reitz is the Vice President of Government Relations for the Association of Illinois Electric Cooperatives (AIEC). Nick joined the AIEC in 2012 as Manager of Government Relations. Formerly, he served as Director of Legislative Affairs for the Illinois Department of Commerce and Economic Opportunity and Legislative Liaison for the Illinois Department of Agriculture. He received a B.A. from the University of Illinois at Urbana-Champaign. 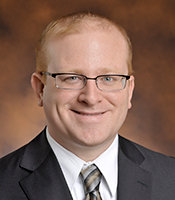 Bradley Rightnowar is the General Counsel at the Association of Illinois Electric Cooperatives in Springfield, Illinois. As General Counsel, Bradley provides legal, regulatory, and governmental affairs support to all of the members of the Association. A native of Mt. Vernon, Illinois Bradley came to AIEC with over 20 years of governmental experience. 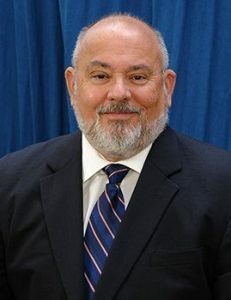 He has served as an elected official, Village President of Poplar Grove, Illinois and Boone County board member and as General Counsel for the Illinois Department on Aging, Assistant General Counsel for the Office of the Illinois State Treasurer and as a legislative analyst for the Illinois Senate President. 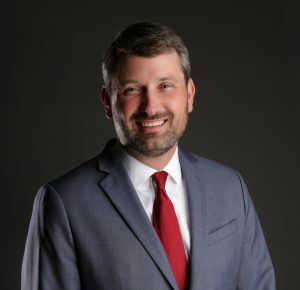 In addition to his governmental service, Bradley possesses a diverse legal background with significant experience in regulatory affairs, corporate law, corporate transactions, real estate, and litigation. He is also a senior lecturer at Benedictine University. What criteria do insurance underwriters evaluate when considering placing cyber insurance? How does the risk profile of the insured affect the availability and price of insurance? 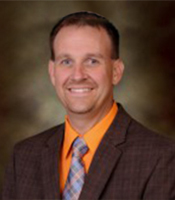 Joe Priestley is Director of Technical Services at Corn Belt Energy Corporation. He has spent the past 15 years in healthcare as IT director and CIO positions before finding joy working in the cooperative world. He focused primarily in the networking, project management and executive management roles. Joe has held numerous industry certifications, including CCNP, CCDP, CISSP and MCSE, and has a background in programming. William C. West, CPCU, ARM-E, ARe, AU, AAI, AIS is the VP of Underwriting at Federated Rural Electric Insurance, the electric cooperative-owned insurer. He has been at Federated for 27 years, and has been in the insurance industry over 35 years. Bill earned his Bachelor degree at Wichita State University. He earned the designation of Chartered Property Casualty Underwriter, and holds designations in Enterprise Risk Management. 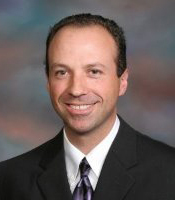 Jonathan Presley, MBA, is the Business Technology Manager at South Central Indiana REMC. He has 20 years of experience in IT working in Education and most recently with Cooperatives. He earned his Bachelor degree at Purdue University and his Masters degree at Indiana Wesleyan University. He has several certification including Six Sigma Black Belt, HP AIS, and RHCSA. The MISO market has evolved rapidly over the last 10 years with significant impacts due to renewable penetration, significant transmission investment and the impacts of technological change on generation, fuel prices and load growth. We will review the impacts to the MISO market over the last 10 years, assess emerging trends and technologies and discuss the challenges and opportunities that lie ahead in power supply. Raj Singamsetti is Executive Director of Portfolio Strategy at ACES in Carmel, Indiana. Raj has a long established and successful career in the deregulated power systems industry. 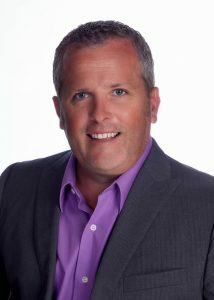 His responsibilities at ACES include coordinating Clients’ long-term portfolios and recommendations. Raj joined ACES in 2004 as a senior engineer where he worked with the Members, Customers, and independent system operators/regional trading organizations to further define, develop, and implement day-ahead and real-time position management and optimization tools. He was also involved in successful market implementations for MISO, PJM, SPP, ERCOT, and CAISO. Raj was promoted to Director of Analytical Services in 2013. In this role, he and his team provided strategic support for the portfolio management team by developing, implementing, and managing next generation predictive analytic tools to manage short-term optimization, position management, and forecasting models. In addition to his many years of hands-on power systems experience in project and personnel management, he holds a Master’s in Business Administration from Purdue University’s Krannert School of Management, a Master’s degree in Computer Science from Illinois Institute of Technology, and Bachelor’s degree in Electrical and Electronics Telecommunications Engineering from Bapuji Institute of Technology in India. He is also Series 3 certified by the National Futures Association. Many cooperatives have begun investigating the need to deploy aerial fiber optic cable on their distribution systems. This session will give some practical advice on the “nuts and bolts” approach to proper aerial placement, sizing, and optimal design considerations. Beginning as a lineman, Bo’s telecommunication career has been spent entirely with Ervin Cable. Progressing through the ranks to his current position as Vice President, Bo has been instrumental in managing the growth of Ervin’s construction and engineering capabilities to meet the increasing demands of multiple customers in the FTTH markets. 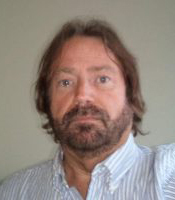 His 20+ years of experience and knowledge of the latest technologies, as well as his ability to navigate through the impediments of rapid deployment of today’s broadband fiber network placements, is a key component to Ervin’s success across the cable MSO, telecommunication carrier and coop industries. Bo is a member of the Society of Cable Telecommunications Engineers, serves on the Gateway Chapter Board in St. Louis MO., and is a frequent presenter at seminars and conferences on deployment of broadband fiber networks for the future. Sean Middleton, P.E. is the Manager of Engineering at Illinois Electric Cooperative. He is currently responsible for all new technology applications at the cooperative including engineering, IT, and Internet services. 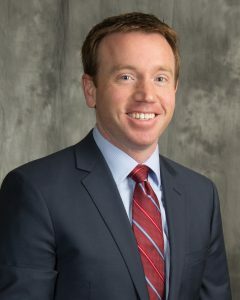 Middleton received his bachelor’s degree in electrical engineering from Bradley University and his MBA from the University of Illinois at Springfield. He is a member of the IEEE including the Power, Communication, and Photonic Societies and the National Society of Professional Engineers (NSPE). Middleton currently sits on the Cyber Security member advisory group from the Cooperative Research Network (CRN) under NRECA. The topic will be to identify and analyze real attacks targeting (ICS) Industrial Control Systems. Strategically placed network sensors, with intentional vulnerabilities, were set up serving as ICS “HoneyNets” . The goal was to solicit attacks, so those activities and methods could be analyzed and correlated. The data collected and processed, establishes attacker profiles by geolocation, level of sophistication, determination, and intent specific to SCADA control devices representing a subset of an electric utility control network. This data provides real threat intelligence with attacker profiling of persistent threats against the nation’s critical infrastructure. The speaker will then broaden the topic to share numerous OT (Operational Technology) and IT (Information Technology) attack tactics used by Hackers. Many of these attacks are then used to develop threat models and worst-case scenarios that surface during RedTeam Security assessments. James Heyen is currently a Cybersecurity Systems Engineer working on critical infrastructure protection projects at ViaSat in Carlsbad, CA. His role includes consulting, R&D, security architecture, threat intelligence, RedTeam and cybersecurity assessments. Heyen has an extensive background that includes over 30 years of experience in the utility industry at Salt River Project, Ameren, Duke and Bechtel. His energy experience includes Enterprise Cybersecurity Architect, OT/IT network security architecture and security assessments. 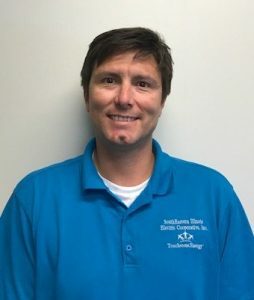 James has utility operations experience in transmission/distribution, nuclear and fossil power generation as well as telecommunications and SCADA. He holds an MBA in MIS and a BSEET as well as numerous industry certifications (CISSP,C|EH, L|PT,C|HFI,E|CSA,CCNA,CCDA).